This route takes in part of the Cleveland Way at Sutton Bank in the North York Moors National Park is approximately 5.5 miles long. 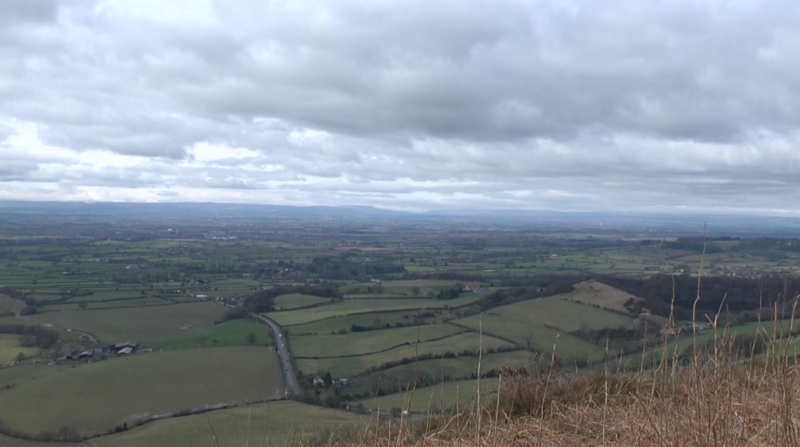 The vet and author James Herriot is reported to have said that the view from Sutton Bank over the Vale of Mowbray and the Vale of York are the “finest in England” and there isn’t much to argue with. 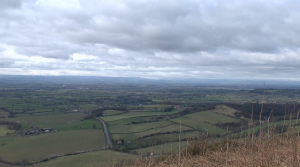 The views are indeed spectacular, especially on a clear day when you can see the peaks in the Yorkshire Dales National Park and beyond. 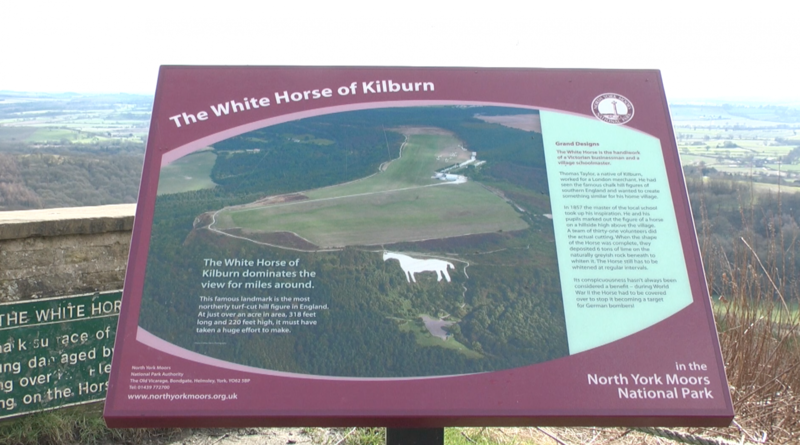 Some people may want to do a shorter version of this circular as a linear route and simply take in the views from Sutton Bank as it becomes much more difficult after the White Horse. 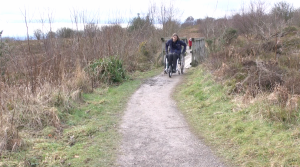 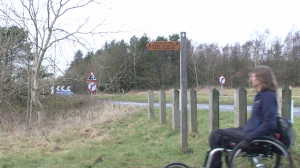 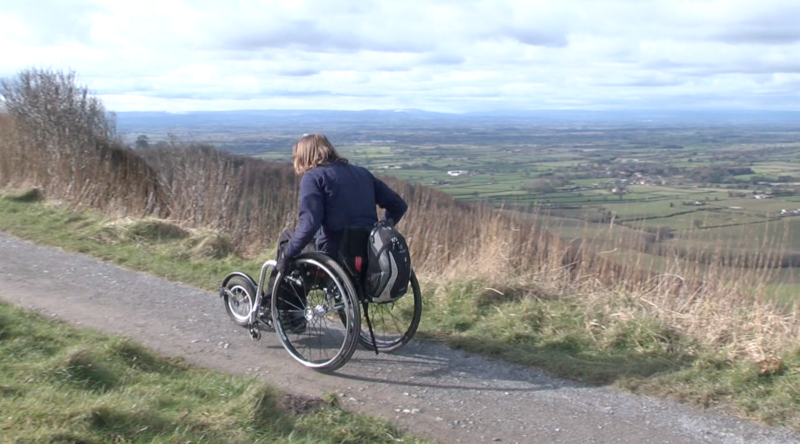 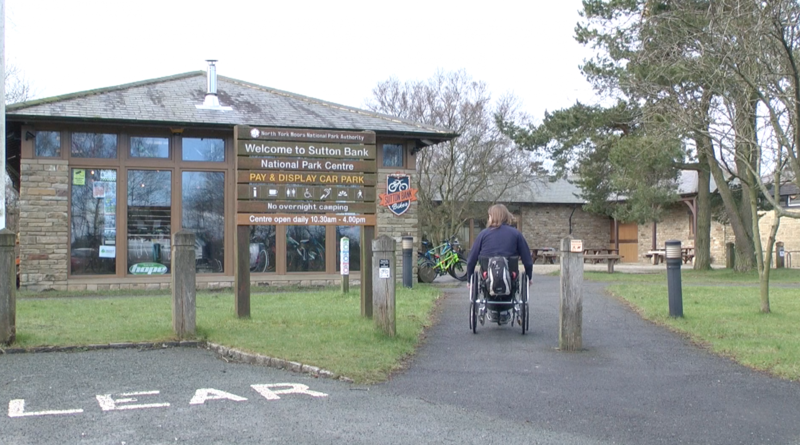 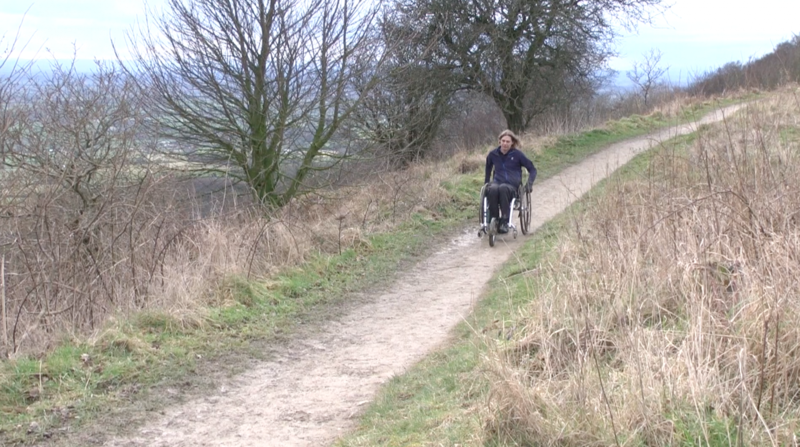 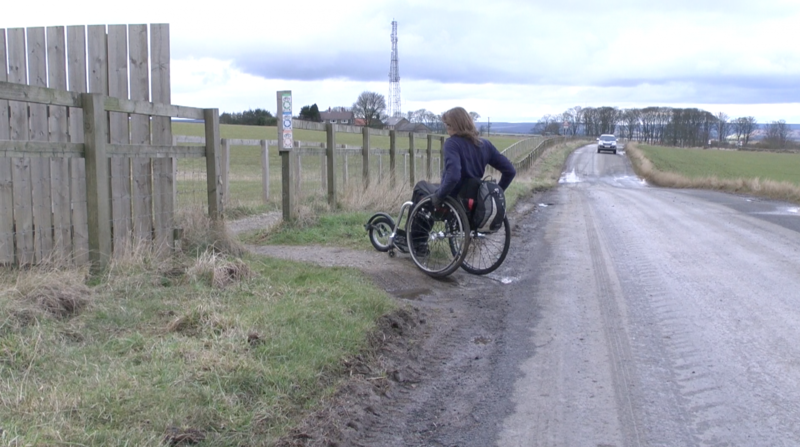 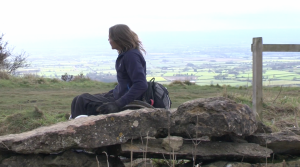 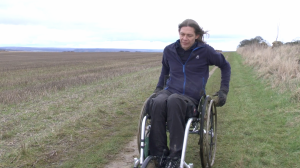 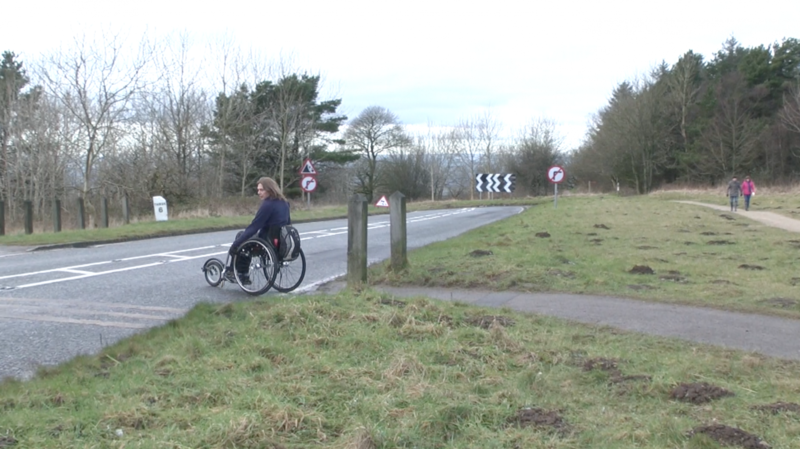 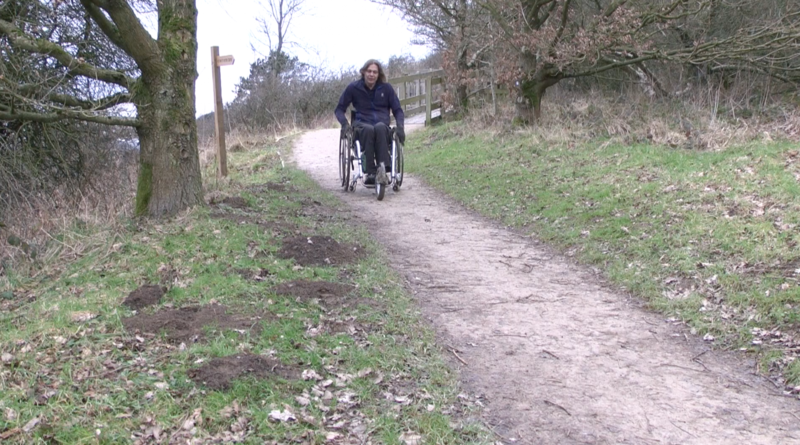 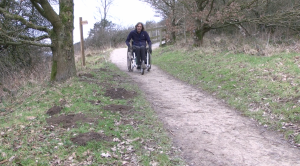 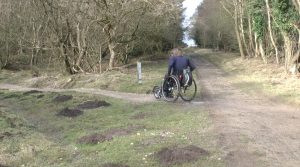 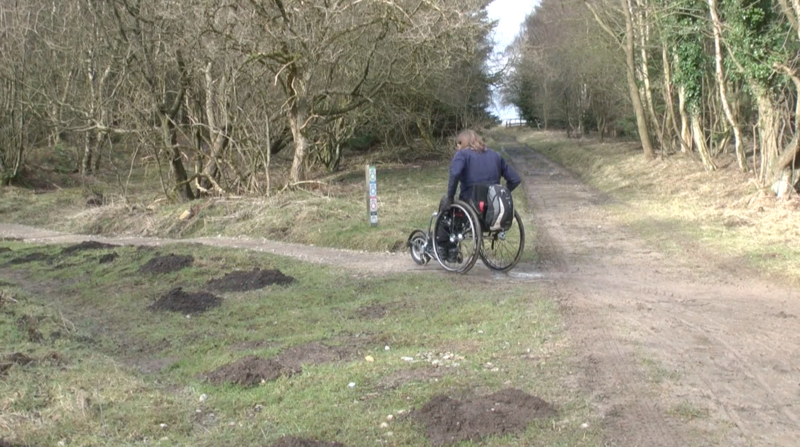 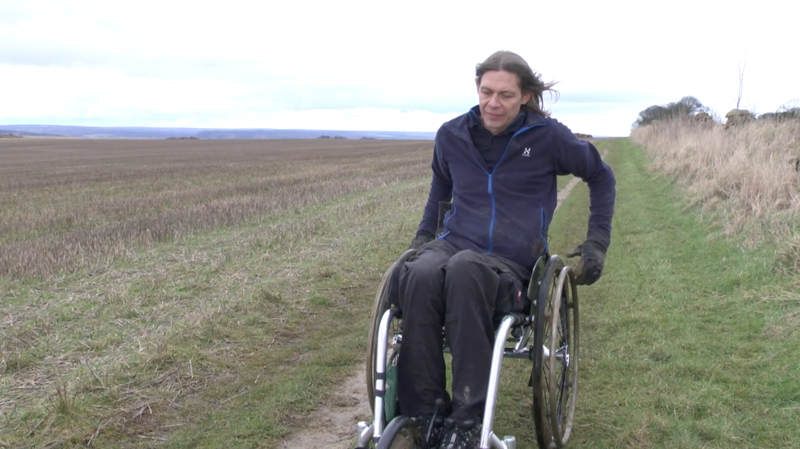 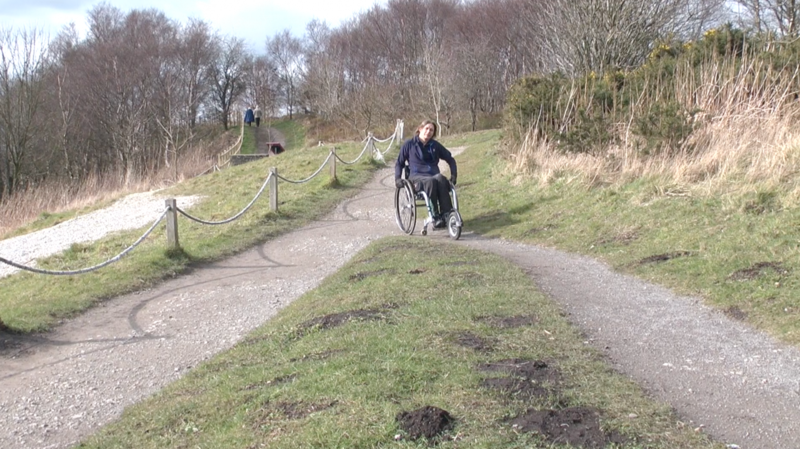 The route starts at the Sutton Bank National Park Centre where there are designated disabled parking spaces in both the east and west car parks. 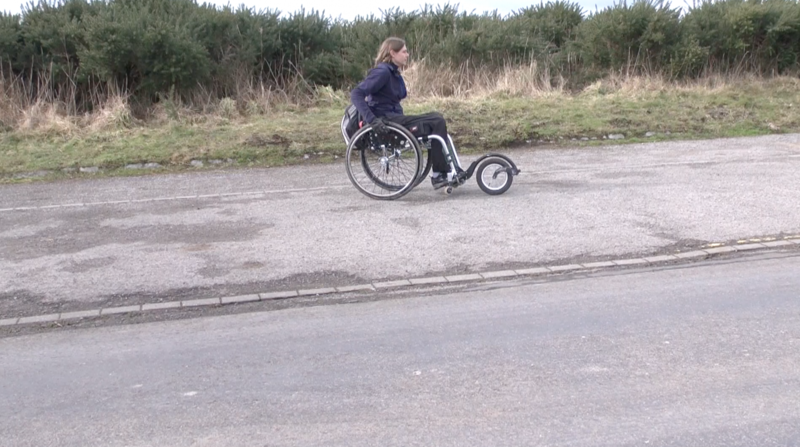 Please note that the car parks are Pay and Display Blue Badge Holders are not exempt from these charges. The Centre has disabled toilets in the main courtyard area that are operated with a RADAR Key. A key is available from the Information Desk. 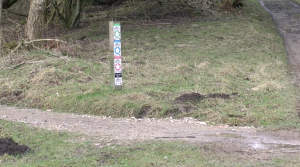 Baby changing facilities are also located in the RADAR-accessible (disabled) toilet. 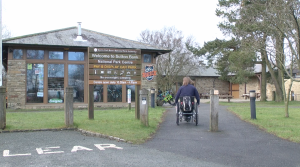 There are two entrances to the Centre that are two double outward opening doors that lead to the tearooms and the main centre area (through automatic sliding doors). 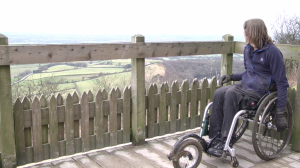 The Centre is at ground level and there are no internal steps or ramps and seating is available in the exhibition, the foyer and the tearooms. 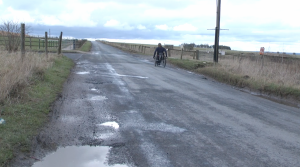 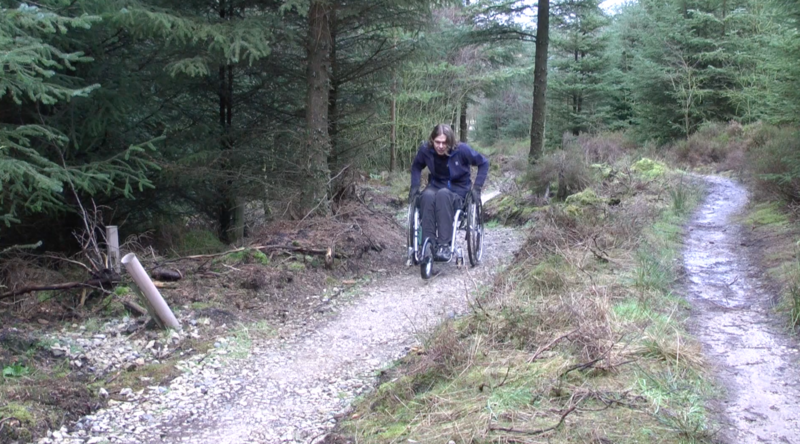 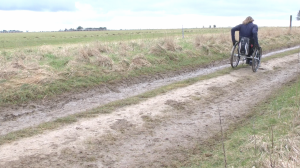 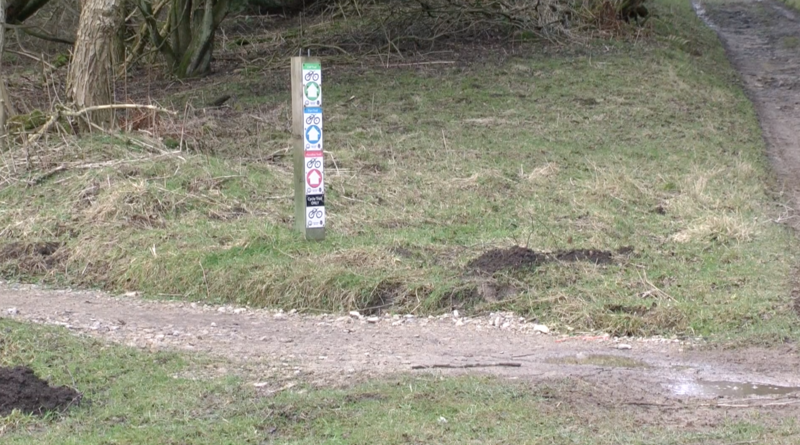 This film was made in March 2016 after a very wet winter and the route isn’t normally as muddy as shown! 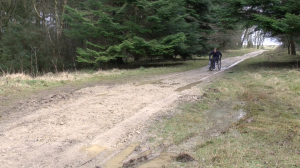 But please be aware that wet conditions severely affect this walk. For more information about the National Park Centre please visit their website.